Some people are interested to know if giving birth to a child in the U.S. can help them to immigrate legally. "Right of the soil" is scrupulously observed in the U.S. - Children born in the U.S. have citizenship as a birthright. In other words, if you want your child to be an American citizen, arrange for the child to be born in the U.S.-based hospital. Birthright citizenship is given only to a child born on U.S. soil. After coming of age (21 years in the U.S.), your child may submit an Alien Relative Petition to give you an opportunity to receive a Green Card. However, because your child is an American citizen, does not guarantee your citizenship or permanent residency in the U.S. That’s why we recommend that parents consider other ways of legal immigration to the U.S. through employment, as businessmen, investors, or other means. 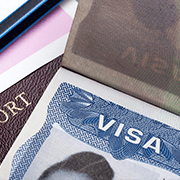 It is a complicated task to obtain a non-immigrant visa for a mother-to-be. Wise planning beforehand can help to ensure the child is not going to be born on a plane over the Ocean, but on the territory of the States, and that the future mother will pass migration control successfully. Entering the U.S. is considered to be a privilege. Visiting the States to give birth to a new baby represents a delicate situation, requiring the special attention of an immigration officer. A mother-to-be must provide strong evidence of her intention to return to the homeland, that she has strong ties with her country, and that her financial and social conditions are adequate for her to live safely before and after the birth of a child without seeking government aid and to return home. It's important to understand that misrepresentation of the facts, including the reason for the trip, puts a woman at risk of being permanently banned from entering the U.S.
Where to give birth in the U.S. There is a gap between income levels, quality, costs of living, and quality of medical services among the states. California, Florida, and New York are currently the most popular places for birth tourism. The proficiency of the mother-to-be in the English language will play a key factor in determining the best place for the birth. If the proficiency is low, it’s wiser to choose a location within or near a Russian-speaking community. For some, it may be wise to consider which season of the year to visit, especially if one has personal climatic and infrastructure preferences before and after the birth. How to choose a hospital for birth giving in the U.S. The choice of gynecologist-obstetrician, pediatrician, a clinic, or a hospital with adequate care for the mother and her newborn is a top priority. 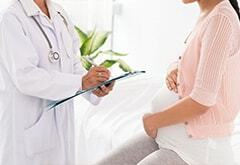 Level of service cost, installment plan options, presence or absence of medical indications for excessive control of the pregnancy, diagnostic capabilities of a medical center, and other factors should be considered to determine the choice of a medical establishment. 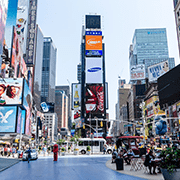 An integral part of the U.S. birth-tour plan is a selection of a comfortable residence, household organization, and adaptation to a local infrastructure, renting a car, buying food, and other essentials. If there is no one available to give advice and support, a mom-to-be will find it difficult to deal with current tasks. A newborn baby receives U.S. citizenship automatically, but it doesn't receive all related documents immediately. Parents must formalize documents and receive a birth certificate before leaving the hospital. If parents leave it up for a child to decide on the citizenship, then, when coming of age, the child will be able to get the American citizenship on his own on the basis of the birth certificate. 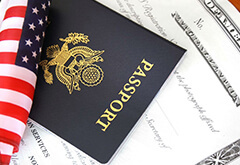 If the decision is to accept the American citizenship for a child at once, parents must obtain a U.S. passport and a Social Security number for the child and assign your child to the consulate of your home country (traveling passport, citizenship). If the parents plan to leave the U.S. before their child receives a passport, they will need an official birth certificate from the state in which the child was born. It is the parents' responsibility to address appropriate officials with completed applications and request those documents. Mistakes in applications and during proceedings may lead to difficulties for the child and extra expenses when leaving the U.S. A skillful lawyer can help to ensure that all documents will be prepared and processed correctly and on time. It’s possible to go through stages of the process on your own, but you will be entirely responsible for risks, mistakes, and failures. There is a great temptation to contact mediators with ‘cheaper than others’ prices. The most frequent result of such activities is a disappointment. Most likely you will not get what you were supposed to get. You must have a professionally-prepared plan of action and complete documentary support. Otherwise, if any problems occur, you may have to face them alone. Emergency situations are not included in a ‘cheaper than others’ program. 3. 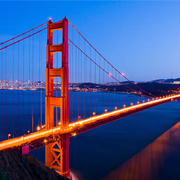 Professional U.S. birth-tour guidance by American Corporate Services Inc.
It’s always the best option to use services of experts with a broad experience and a wide network of partners. Budgets are carefully calculated so that when in hospital, parents will not receive any bills for additional services. By using our services, in addition to easy-to-follow guidance, parents-to-be will have our full support during planned stages of prenatal period and birthing in the U.S., from preliminary consultation for parents to a happy return home. In case of an emergency, parents won't be left on their own: doctors, attorneys, consultants and company's representatives will be involved and completely resolve any problems. 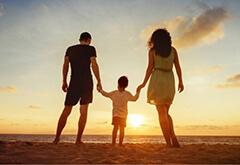 American Corporate Services Inc. offers a full professional maintenance of questions, related to entrance and residence in the U.S., being ready to take care of the mother and her future child. Our standards of excellence and experience, and our medical associates, attorneys, and established network of partners will be at your disposal.